Howlin' Wolf Records: SIX STRINGS: Cheezy Flicks... Does it Again, in a Good Way! Some secrets can't remain buried forever. A young woman moves into an old house on the river. The house has been in disrepair for over 50 years, and no one has dared to buy it, until now. Little does she know there is a secret buried beneath it, but there is one big problem, the true owner, Harry, is still there. This maniacal spirit will do anything to protect this secret. As a hurricane develops just as it did 50 years ago. She and her sister, a famous talk show host, must work with a psychic to resolve the crisis and most importantly, stay alive. The investigators were questionable. The facts were wrong. The testimony was vague. Based on a true Texas case. 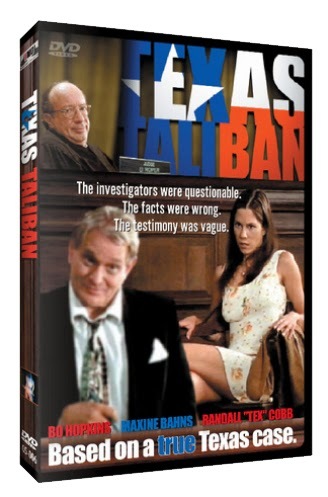 A sad, but funny, courtroom drama that actually took place in the great state of Texas. The facts are wrong, the investigators questionable, and the case is full of sleaze and corruption. Local law nearly sends the wrong woman to jail after a vice squad breaks up a dance club offering little more than $10 table dances. One by one, the arresting officers make fools of themselves as the truth begins to come out. Testimonies fall apart and the courtroom turns into a pit of decepetion. By the end, it should be the law who is on trial!